Stilo Trophy DES helmet is a professional open face helmet incorporating Trophy electronics with the microphone held by a flexible metal spiral boom. The connection plug is integrated into the side of the shell resulting in no awkward hanging cables. 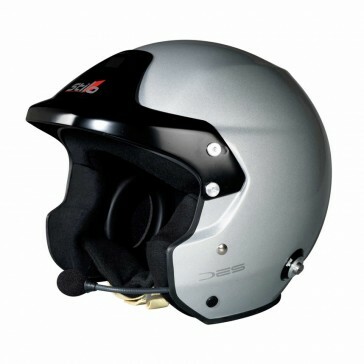 The Trophy DES range are fitted with EPS cheek pads assuring the competitor the best safety in the case of a lateral crash. This composite rally helmet offers excellent value for money. The Trophy DES Rally is designed with electronics that can be easily disassembled allowing the user the flexibility of changing the electronics if required in the future.